White satin edging creates a striking, elegant finish for Noel Asmar’s new Valentina uniform range. The design also comprises matt and shine detailing and subtle pockets. Knit sleeves have been added for ease of movement. Signature fabric from Noel Asmar provide stretch and breathability. The durable fabric, which is stain-, pill- and wrinkle-resistant, is suitable for machine washing. Scalable room concepts using water, light and acoustics, by Aquamental Spa, will launch in March. The rooms create relaxing and contemplative spaces and there are seven themes in total: Columns, Circles, Deep Sea, Flux, Torus, Swing and Stonefly. 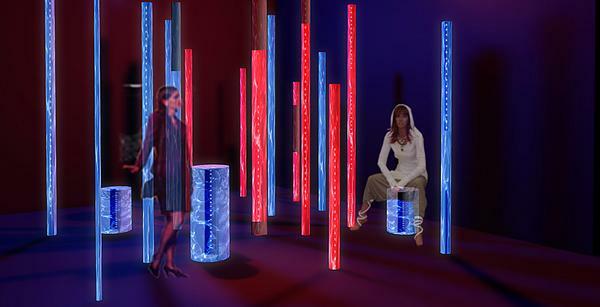 In the Columns concept (pictured), users enter a system of transparent water-filled columns of various sizes that have an in-built light source. Pressure is pumped into the columns causing them to vibrate and make different tones, and causing the water levels fluctuate to create a wave-shaped room pattern. The system responds to the users movement round the room which is picked up by motion sensors – the faster they move the more pressure is pumped into the columns. Moving Art, the company of US film director Louis Schwartzberg, has created an immersive room concept currently being tested at the Miraval resort and spa in Arizona. Visual Mediation and Visual Healing use time-lapse cinematography of natural images projected on ceiling-to-floor screens to create moods suited to the use of the space. For example, waterfall imagery is used in a water-based treatment room. Moving Art is also developing an interface to let spa guests choose the mood of their treatment room. The concept can be applied to any room or multifunctional space at a spa – even an interior with no windows. A premium can be added to treatments complemented by the technology, creating a higher revenue-generating space. A permanent Visual Meditation room is now being planned at Miraval with additional installations in the queue at other high-end hospitality venues in 2014. Dornbracht’s Sensory Sky shower, available from March, has been designed to create the feeling of showering in the open air. It features settings of rain, fog, light and fragrance and is designed to offer more choice than standard experience showers. The Rejoice programme, for example, comprises a warm rain curtain where the droplets glisten in the colours of the rainbow with an accompanying fresh fragrance that has a sweet, spicy and woody finish. The Readjust programme features a warm fog and light rain with fresh, woody meadow herbs and fruity hints of berries; while Release – a heavy summer rain – offers changes in temperature and light and is complemented by a tropical fragrance with hints of citrus fruit and an earthy base. Launched at IMM Cologne in January, The Grid by Gloster is a range of modular outdoor furniture that can be configured in multiple ways and directions to help personalise exterior spaces. It has been created by Danish designer Henrik Pedersen who has combined clean lines and a contemporary look with a cosy lounge feel. The range uses sustainable teak wooden grids, soft upholstery and stone plates across its tables and platforms. The seats are made from a powder coated aluminium frame with weatherproof lounge cushions and slatted teak platform. The frames come in white and the base cushions come in Dove (light grey) Lace (off-white) or Raven (dark grey), with scatter cushions in Carbon Sky (dark blue), Dark Taupe (dark grey), Frosty Chine (light blue) or Grey Chine (light grey) shades. Scented pebbles and sprays by CamylleSpa fragrance supplier Camylle has developed some perfumed pebbles and room sprays for use in the spa or for retail. 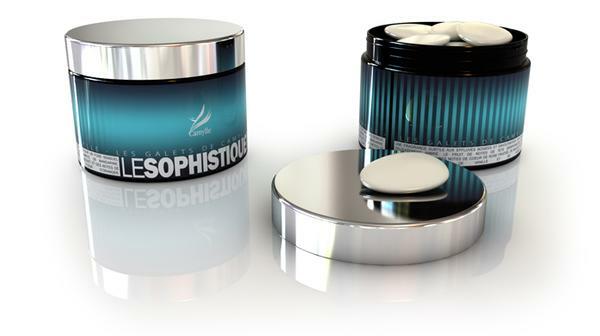 The fragrances, made from natural essences, are infused into the pebbles for an even diffusion over many weeks. There are four scents including Le Sophistiqué (pictured), with floral and woody notes; and Le Délicat, with a citrus aroma. 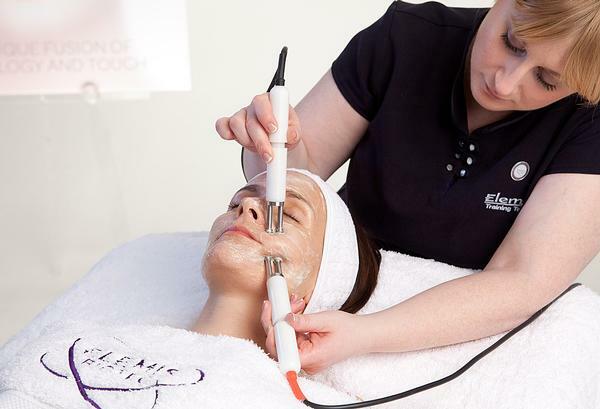 Elemis is taking results-driven skincare a step further with its first treatment machine and eight accompanying facials. While Elemis already uses the SkinLab to analyse the skin (see p16), it’s developed Biotec to deliver treatments by fusing together machine-based technology with potent activator products and hands-on touch. Different functions of the machine include ultrasonic peeling, microcurrent lifting, galvanic rejuvenation, light therapy rebalancing and oxygen infusion. These are used across the eight new facials to provide tailor-made treatments. The facials can help with skin radiance, lines and wrinkles, skin resurfacing, lifting, blemishes, sensitivity and brightening and there is also a specific treatment for men. Siberian gingseng is a key ingredient in Sothys’ Energizing skincare line. There are two day creams which contain extracts of lupine, rice peptide and yeast and which come in a light or rich texture for different skin types. The night cream includes sophora flower extract to encourage the elimination of toxins. There’s also an Energizing Intensive booster treatment. Countercurrent pool technology firm JetStream, has developed a Floating Lounge concept which it’s installing in a number of private spas and healthcare facilities across Europe. Manufactured in Germany, the Floating Lounge is an all-in-one aquatic gym comprising a reinforced fibreglass seat with hand rails and water massage and countercurrent jets. It can be used by a variety of people for a complete pool workout for wellness, fitness or healthcare purposes. 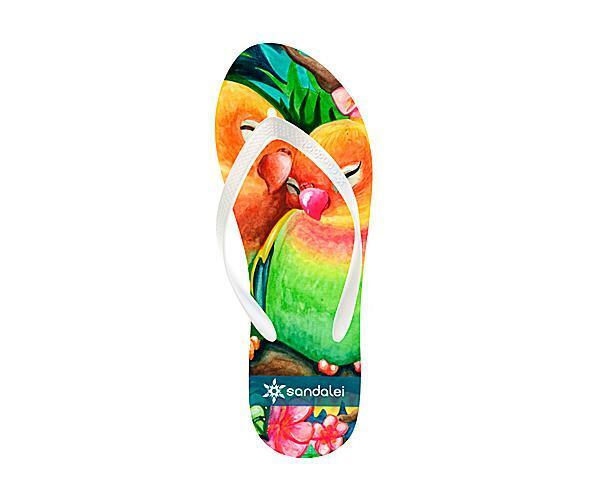 Sandalie’s flip flops and sandals can be customised with any image, design or coloured strap a spa chooses. The footware, which can be used in the spa or retailed, is already supplied to leading spa hotels like Four Seasons, Ritz-Carlton and Auberge Resorts.